Without proper diet, medicine is of no use. With proper diet, medicine is of no need. ACCORDING to a recent report released by Commonwealth Fund, the US Health care system is per capita the most expensive among developed nations, yet ranks at the bottom in terms of quality of care. Compared with many undeveloped nations, the US has a higher prevalence of chronic disease such as atherosclerosis, diabetes, cancer and autoimmune disease. All in all, the US Health care system is the third leading cause of death, which is an odd statistic, considering that the health care system is supposed to protect and save lives. With the comparatively huge resources the US spends on health care, something about this picture is very wrong! 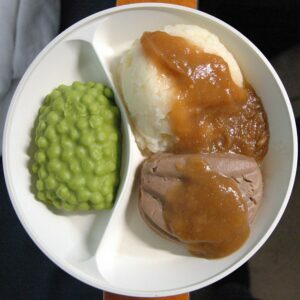 If food represents the soul of a nation, what does this say about the soul of modern nutrition? If we accept that nourishment is the source of all living things, is it any surprise with the way diet is regarded, that modern medicine ends up causing so much harm and suffering to both patients and doctors? When modern medicine is the third leading cause of death in the US, we cannot simply ignore the problem. Perhaps the only saving grace of other Western countries such as France, which experiences a generally lower rate of chronic disease, is that it maintains food traditions that predate modern medicine. Thus, while the food industry easily convinced naive North Americans to give up butter in favor of margarine, such an idea in France was tantamount to cultural treason: health risks be damned. And like it almost always does, the tradition got it right. Butter is better. In my 20 years of practice, I have consistently maintained that butter and ghee are excellent fats, encouraging all of my patients to avoid margarine as well as cooking oils extracted from newly introduced oil crops such as corn, canola, safflower, sunflower, cottonseed, grapeseed, and soy. 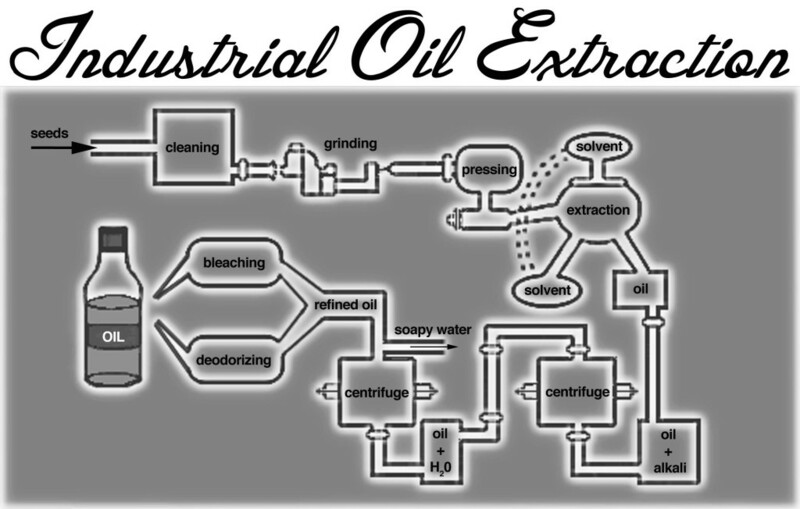 In many respects, the refinement of modern vegetable oils is essentially the same as that for crude petroleum products. Oils rich in polyunsaturated fatty acids, such as flax and canola, contain natural impurities that cause the oil to rapidly oxidize and become rancid shortly after pressing. While chemical refinement and deodorization lengthens shelf life by removing these impurities, it also generates the production of free radicals, which compounds the negative effect of eating high levels of inherently unstable polyunsaturated fatty acids in the diet. How did I know that traditional fats like butter are better? Place a raw kernel of corn in your mouth. Roll it around, and feel how hard it is. You might think twice before doing it, but if you could chew it up and not break your teeth, no matter how long you chewed it, you would’t have an experience of eating something fatty. That’s because the lipid content in corn, at less than 5%, is too small to perceive. Nobody in their right mind would look at a kernel of corn, give a chew, and think of it as a nourishing, fatty food. To access the fat in corn, it must be extracted with heat, high-pressure, and hexane solvents, resulting in a product that must undergo extensive refinement before it is edible. Now, let’s look at milk. Ok, not everyone can tolerate milk, and I will explain why this is, and how it can be resolved in Food As Medicine: but I think we can all agree that fresh milk is a nourishing substance. It is produced from the bond between mother and child, and ideally, lovingly cultivated between dairy farmers and their cows. Milk and its natural by-products such as butter and ghee are by every criteria nourishing substances. How could anyone say differently? In Ayurveda, there are literally thousands of medicinal recipes that use dairy, that have been successfully applied over thousands of years of practice, by millions of practitioners. And that is only India. What about the widespread consumption of dairy all over the world, over a similar length of time, throughout the Middle East, Africa and Europe? Milk is, by its very nature a food, and humans have learned to adapt themselves to its consumption for a long time. But corn oil? Indeed, it would be the mark of a kind of psychosis to suggest that a hexane-extracted, refined, and hydrogenated corn oil product called “margarine” is a better source of nourishment than butter, And yet, such was the medical opinion for over 70 years. 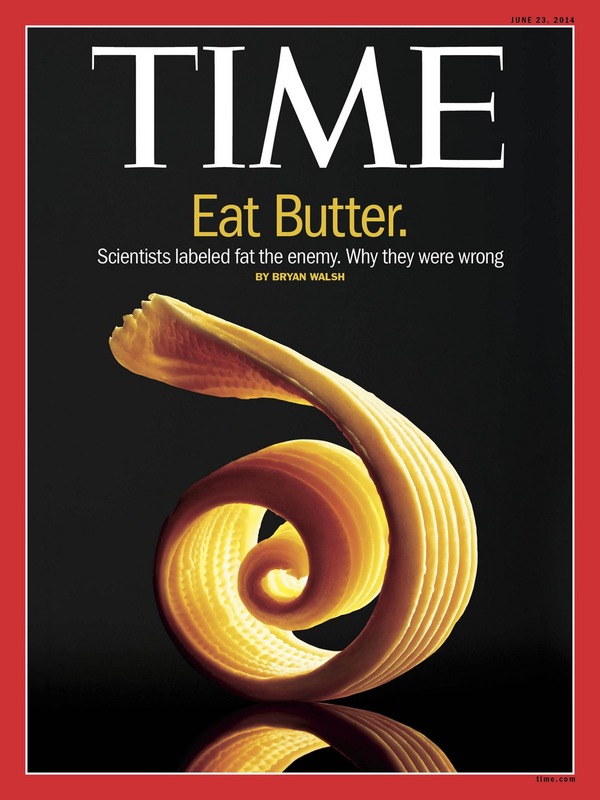 And now, while Time magazine reflects a growing scientific in favor of butter, there remain many other dietary “psychoses” found lurking in the collective “mind” of Western medicine. 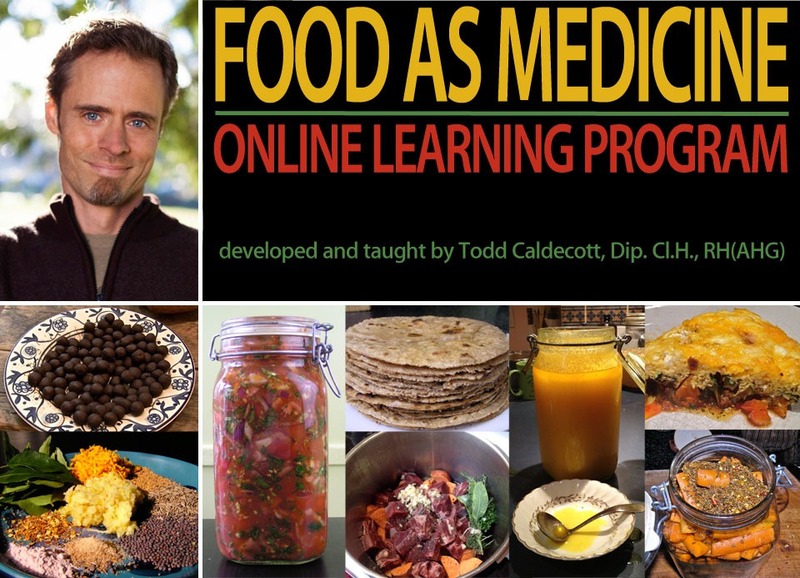 In my Food As Medicine online learning program, I will deconstruct them all. Time magazine’s crack team of investigative journalists are about 70 years too late for this story. It just goes to show how reliable the mainstream media is when it comes to the facts on health. To properly use food as medicine requires you to shed yourself of preconceived notions, and consider the concept and practice of nourishment. In this way, I have been intimately drawn into a variety of food traditions as a source of inspiration, including Ayurveda, which is unmatched for its exquisite sophistication in the treatment of digestive disorders, and for it’s comprehensive approach to the use of food as medicine. It is for this reason that I have devoted my life to the study of Ayurveda, as well as other traditional medical systems such as Chinese and Unani medicine, to translate this knowledge into a Western context, and discover new ways to apply this knowledge. One of the things I learned during my training in India is that there is no such thing as an “Ayurvedic medicine”; only a herb used with intent of Ayurveda. The geography, flora and fauna change, but the essential principles of Ayurveda do not. Likewise, I developed Food As Medicine as a frame of reference to see the problems of modern nutrition, and address complex health issues through the application of simple and sustainable dietary changes and food therapy. In my 20 years of clinical practice, I’ve seen a lot of trends come and go, especially when it comes to food and nutrition. I started off my path to health in my late teens as a vegetarian, cooking meals and following the practices of macrobiotics. Into my early twenties I maintained my vegetarian status for a couple years, and experimented with all kinds of different foods and ways of eating. This included fasting, as well as eating only certain foods, such as that time in September of 1989, when I ate nothing except apples for a month! A short time later, I continued my vegetarian practice while traveling India, but within a few months of travel on the cheap and touring with a group of Karnatic musicians, I acquired an awful case of chronic dysentery, and rapidly began to lose weight, down from 150 lbs to 128 lbs! I did my best while in India to eat only vegetarian food, but every time I ate the local vegetarian food it went right through me, and I felt terrible. One evening, when I was walking through the streets of Chennai, desperate for respite, I eventually ended up at a local Muslim restaurant, the only local place that served meat, and quickly found that eating mutton, chicken or goat curry was a lot easier on my gut, allowing me to have normal BMs while stopping the weight loss. Thus, while I continued my journey from Chennai overland through Pakistan, Iran and Turkey, I made myself eat meat on a regular basis simply as a way to stay healthy, and prevent the worst effects of my case of chronic dysentery. Of course, traveling through the Muslim countries this wasn’t an issue, as the only real travel food is kebab (grilled meat on a stick), with white rice, and some raw onion if you’re lucky. The one exception to my food experience in these countries was traveling high up into the Karakorams to visit the people of Hunza for several weeks. Located at 2500 meters (1.5 miles) in elevation, at the foot of Mount Rapakoshi, it was in Hunza that I ate the best food of my year long sojourn across Asia. Lightly spiced goat stew, steamed greens, buttery dahls that melted in your mouth, and organic partially-milled rice grown in the steep terraced slopes of the Hunza valley, fed by mineral-rich, glacial streams. It was here that I felt my best, and could literally feel the strength returning to my limbs every day that I stayed there. Top left: Pushkar, India (1989). Top right: southern Afghanistan (1989). Bottom: A view of the little village of Passu, near the Chinese border in Norther Pakistan. 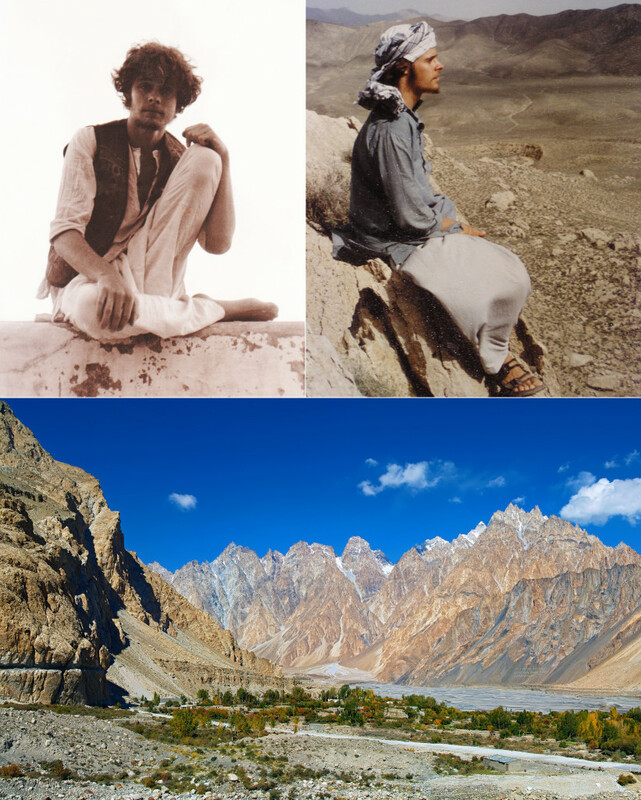 Passu lies at the headwaters of what was formerly the Hunza river (now Attabad Lake), which arises from the confluences of the Passu and Batura glaciers. I spent several weeks in this area, going on small treks, while enjoying the amazing water and delightfully nourishing, healthy food. When I returned to Canada a year later, I tried to return to a vegetarian diet. Everything about vegetarianism appealed to me, both aesthetically and philosophically, and in my attempt, I was eating many of the foods that are now being rehashed as “super foods” such as spirulina. But more often than not, these foods made me feel worse. The supposedly virtuous manna bread, for example, was terrible: the stuff was like rocket fuel, my guts the ignition chamber, and the toilet Cape Canaveral! I experimented with various veggie proteins, even before tofu and tempeh was common. Like, for example, my giant pots of seven bean stew, cooked all day with onions, ginger, garlic, herbs and spices. It tasted delicious, but after eating it, I’d spend the next several days with a bloated belly and the most awful gas you can imagine. I didn’t understand why. During this time, I tried all kinds of treatments for my dysentery, including both medical and holistic treatments. One naturopath had me on a bentonite-psyllium-caprylic acid mixture to kill “candida” for almost a year, along with probiotics, to significant expense but no benefit. I also tried Chinese herbs several times, and did receive some benefit, but because I didn’t get much help with diet, the benefits were never sustained. It wasn’t until I met with an Ayurvedic physician, my first teacher of Ayurveda, that I got some solid information on diet and lifestyle. Despite the fact that he was vegetarian, and was in fact an ordained Hindu monk, when I asked him during a consultation if I should eat meat, he gazed at me softly and gently nodded his head. As a devout Hindu, he of course would never say it to me directly: I had to ask. And even though he used no words, what shone through was a perspective beyond the dogma of his faith. It was his training as a physician of Ayurveda that communicated itself to me, a system of medicine that has no dietary philosophy apart from that which is wholesome and most beneficial to the patient (called heeta ahaara). Given my malabsorption issues, my weight loss, the fact that I lived in Canada, and my northern European ancestry, Ayurveda suggests that it is natural and normal for me to eat some kind of meat on a regular basis in order to stay healthy and strong. I had suffered for more than two years with chronic dysentery and weight loss, but with a few simple herbal formulas, and a balanced Ayurvedic diet that included some meat, in three short months my issue was resolved. It’s been 20 years of clinical practice since I resolved my chronic digestive issue, and what I took from this isn’t that everyone should eat meat. Indeed, many people eat too much meat, and in a state of relative abundance, eating so much actively invites disease. But it doesn’t mean that eating meat specifically causes cancer and cardiovascular disease, either. You can drown in water, and yet your body requires it. How do we know the difference? Only through a comprehensive and holistic analysis, free of dogma and speculation. You don’t need another “ism” in your life, and even less so in your diet! What I offer in Food As Medicine, is a perspective of time-tested truths and traditional knowledge from all over the world, supported by and augmented by the latest medical research. Why did I write Food As Medicine? When I first began to practice almost 20 years ago, it didn’t take me long to realize that in order to achieve long-lasting, sustainable results in most patients, attention to diet was first and foremost. At first, I relied on a lot of herbs, supplements, and other medications in my practice, but if patients didn’t make changes to their diet or lifestyle, there wasn’t much the herbs could do except mask symptoms. Over time, I began to emphasize dietary changes, as a practical, realistic way to promote health and wellness. What other thing in your life has as powerful of an influence on your body as the food you eat? You are literally made from the food you eat everyday. When you eat, you are observing the nature and quality of your future self. Since this epiphany early on in my clinical practice, I have made diet and lifestyle issues my first priority in treating patients, and it has been my consistent observation that when these changes are followed, there is little required with regard to further treatment in most cases. And while lifestyle issues are so very important, once again, the first place I start to achieve the biggest impact, is with diet. Unlike the many dietary approaches I have encountered, in both the medical and holistic fields of medicine, I have never been satisfied with the idea that there is just one diet for everybody, or that diet can be reduced to a simple equation. There are simply too many variables involved to be dogmatic, particularly when we consider all the ways in which each of us is unique. At the same time, however, there are patterns that can be recognized; patterns that can be found in others, often with a unique conformation of individual factors. Thus, in the application of dietary therapy, we need to be able to recognize general patterns and how to treat them generally, as well as how to adapt these patterns to individual needs, or otherwise address individual factors. If you can understand this, then you understand why so many of the diets being promoted today are painfully myopic, and ill-equipped to deal with the full spectrum of human experience. Personally, I have lived in or visited almost every climactic zone on earth, spending time living with many peoples of different ethnicities. Human food culture is an incredibly diverse tapestry, and any dietary approach needs to accommodate this reality. Despite this diversity, however, there are common threads than run through all of these culinary traditions, most often related to the practice of traditional medicine. Thus, many spices and herbs found their way into our diet not primarily for flavor, but to enhance digestion of the food, or as an adjunct to treat some health problem. A good example of this would be something like chicken soup with garlic and parsley, as a supportive food in the treatment of a cold or flu. In Food As Medicine, what I have done is articulate a paradigm of food that runs the full gamut of human experience, all with an underlying focus on the therapeutic use of diet. To achieve this, I have woven together a tapestry of Ayurveda, as well as the other systems of traditional medicine I am familiar with, along with hours and hours of scientific research, and my twenty years of clinical experience. Unlike most dietary approaches, Food As Medicine doesn’t provide simplistic answers, but once you understand the paradigm, the path to wellness becomes much less complicated. 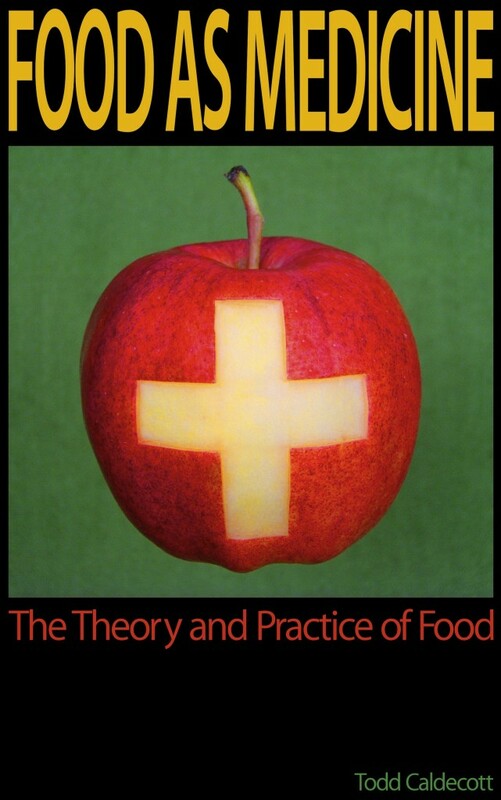 Since the book Food As Medicine was published in 2011, I have had the opportunity to travel and teach the concepts and practices contained within the book to a diverse array of people. Everywhere I teach, it is not hyperbole to say that people’s minds are blown, not just because it’s information they haven’t heard before, but because of the way in which it is articulated, demonstrating the profound interconnection between food, medicine, and health. On too many occasions to count, I have had students tell me that just one Food As Medicine weekend workshop completely changed their life for the better. In my experience, it doesn’t matter who the crowd is: parents, yoga teachers, fitness trainers, herbalists, chiropractors, nurses, doctors, naturopaths… if you’re not already very familiar with this information – knowledge I have spent more than 25 years accumulating – you will learn new things about food and diet! As such, I believe that the Food As Medicine program is a course that everyone will benefit from, including both lay-people and health professionals. What else is more basic and important than food? Sign up for Food As Medicine now! Student membership at the Dogwood School of Botanical Medicine for TWO years! Full access to our assessment materials, to test your knowledge and get yourself certified! All this for only $695! Can’t make the live LIVE Food As Medicine Q&A webinar? No problem! Each webinar will be recorded and then posted to our website so registered students can stream recorded classes whenever they want! With Food As Medicine, you’ll have access to a great online community of fellow students, moderated by me, to ask questions, gather opinions, and refine your thinking. No matter what’s got you stuck, the community and I are here to get you “cooking” again! Check out this free preview of Food As Medicine! What do I get when I am done? 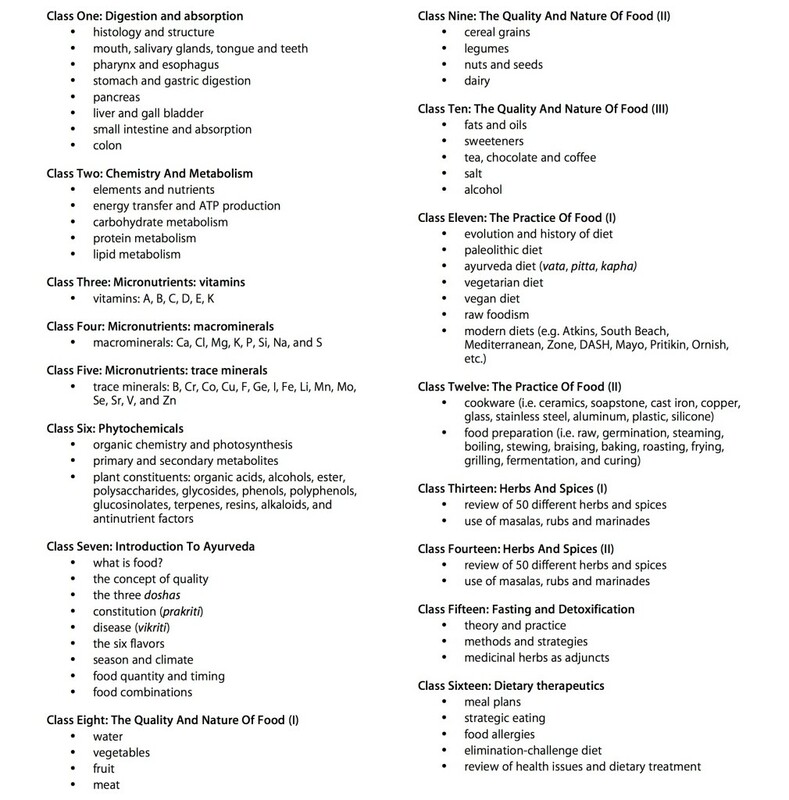 Students that successfully complete the Food As Medicine assessment materials will receive certificate of completion, which is a prerequisite to further studies in the mentorship program offered by the Dogwood School of Botanical Medicine (DSBM). Intimidated by the idea of having to complete quizzes and write a final exam? Only students that wish to complete the entire mentorship program are required to complete all of the assessment materials associated with the course. For students that just want to learn, however, there is no obligation to undergo this assessment. To make testing as painless as possible, all of the assessment materials can be completed and submitted online, meaning you have no paper work to deal with! Learning how to use Food As Medicine was never easier – so why not give it a try? Remember, if you ever get stuck, we have a lot of resources available, including our live Q&A and discussion group! You’re not alone! 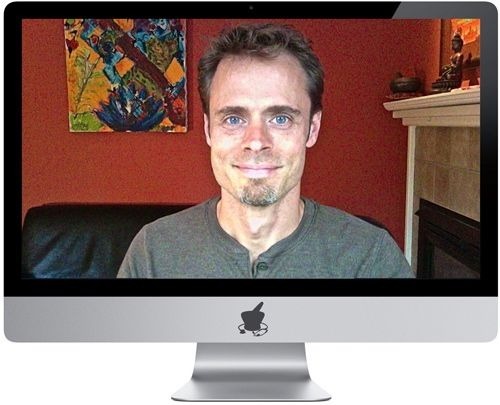 Todd Caldecott’s class was enlightening and inspiring and one of my favourite components of my yoga teacher training. His book Food as Medicine is a sensible and accessible introduction to Āyurveda. I look forward to further training with Todd..